Ark Buddies manufactured and created in Cartamundi Ireland Ltd.
Gosling Games a successful family-run business based in West Cork Ireland, take great pride in their products being designed and manufactured completely in Ireland and we at Cartamundi Ireland Ltd. are proud to make this happen. We have created a strong relationship with Gosling Games working with them on numerous games and puzzles projects over the past 10 years, including their very popular Discovering Ireland and Europe games. 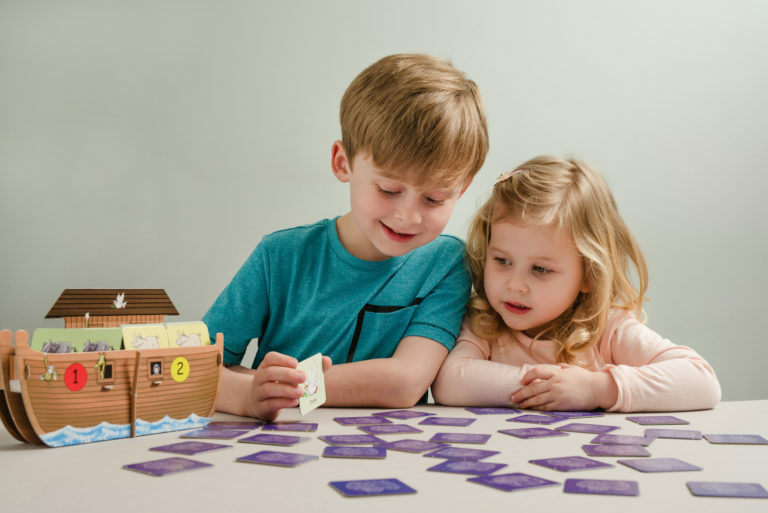 "We wanted to thank you for all the help you gave us during the design of the Ark Buddies game, we are very pleased with the finished product"
Gosling Games approached us with a new memory game concept called Ark Buddies we were excited to work on the development of this game with them. The initial concept for the game saw the Ark as simple illustrated punchboards one for each of the 4 players. 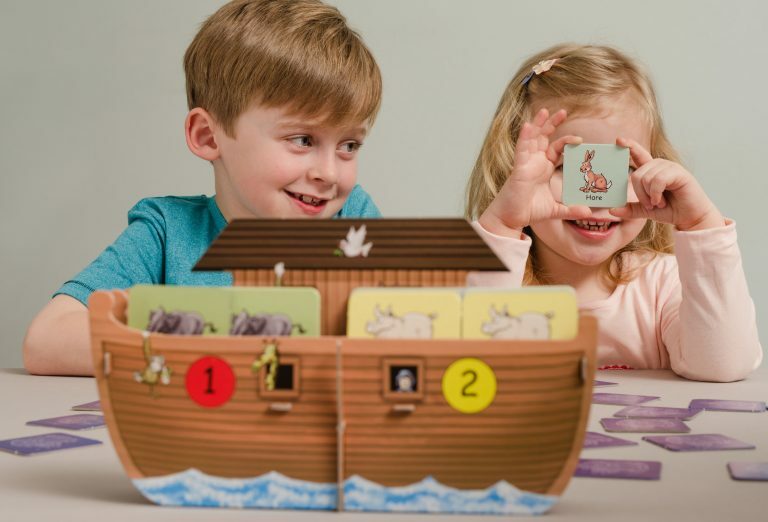 The games involved matching the animal cards and placing them on their Ark. The player with the most pairs of cards wins the game. Our product design team developed the idea of creating a single cardboard 3D Ark where all 4 players would store their matches. This created a much more appealing and fun product for the target market. We went through many iterations using sketches and mock-ups for the Ark design until we were all happy with the design and the cardboard engineering solution. During the detailed design phase, we worked closely with the illustrator to ensure the visuals on the panels worked effectively and were optimised for manufacture. As we also developed 3D SolidWorks CAD files during this phase the Graphic Designers were able to use these as the basis for the assembly diagrams in the game. The game was a successful collaborative Irish designed and manufactured product. Production Design and Manufacture by Cartamundi Ireland Ltd.
To find out more information about the Ark Buddies game, please read through the game instructions below.